9.14-Stoned Cold-Promo. . Wallpaper and background images in the CSI: Miami club tagged: csi: miami. 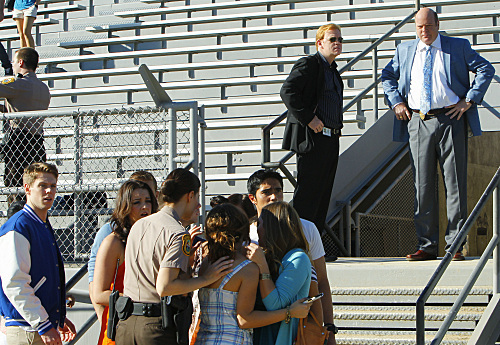 This CSI: Miami photo contains chainlink fence. There might also be bannister, banister, balustrade, balusters, handrail, business suit, street, city scene, and urban setting.